Lotto results • Check the Irish National Lottery winning numbers! Our results will update as soon as the draw takes place, and gives you the lucky numbers for the main draw, as well as the results of the Lotto 1 and Lotto 2 draws. The Irish Lottery has two draws every week, on Wednesday and Saturday at around 8pm local time. You can find the Irish Lotto results right here. If you play with Lottoland and have won a prize, we will let you know automatically via email, or you can check by logging into your player account. 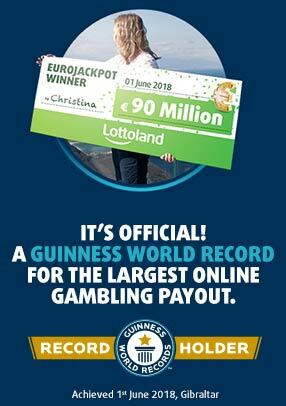 Download the Lottoland App for iPhone or Android today! Play Lotto, check results and get special discounts and promotions! This is a real money gambling app/site. Please gamble responsibly and only bet what you can afford. For gambling addiction help and support, please contact Gamble Aware at 1800 753 753 or visit http://www.gambleaware.ie/.Lotto results • Check the Irish National Lottery winning numbers!